What is subitizing? Subitizing is the ability to know the number of objects in a small collection without counting. 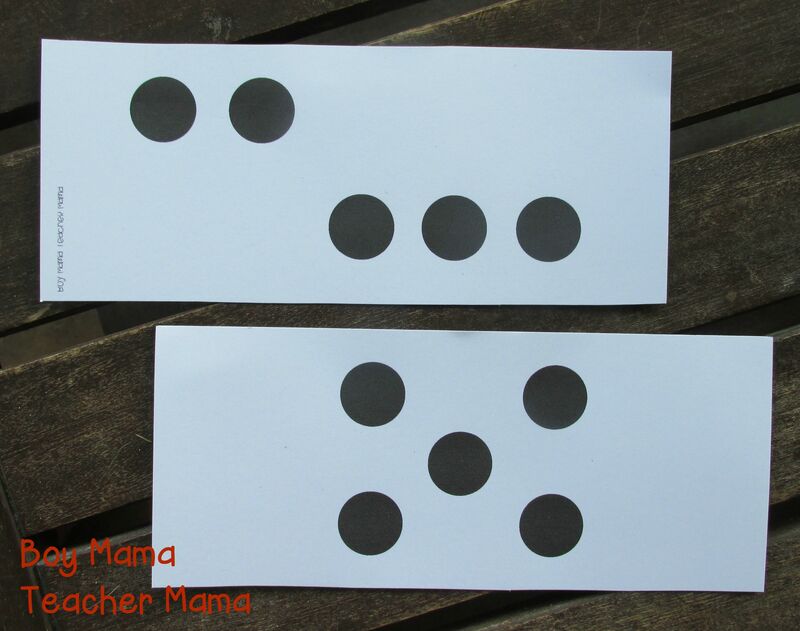 When subitizing, students form mental image of number patterns, which in turn, helps students learn to count. 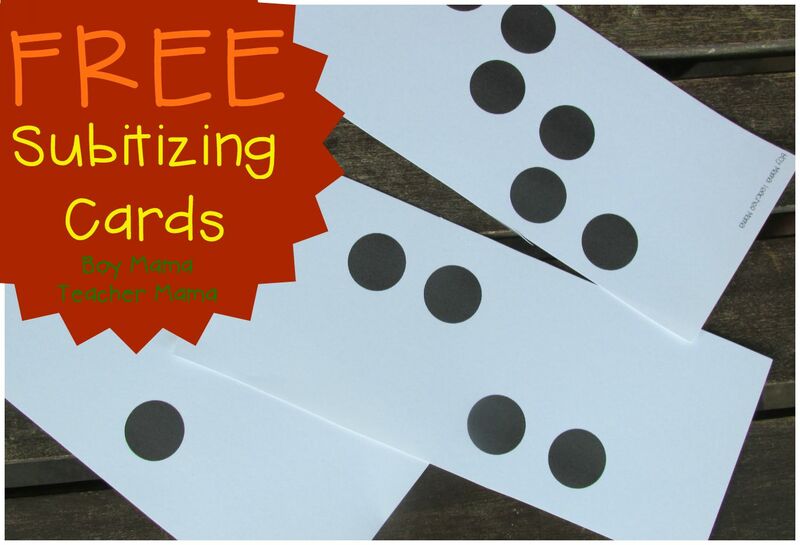 When practicing subitizing with children, use dot cards or objects, but not manipulatives. When using manipulatives, students are more likely to count rather than forming mental images. 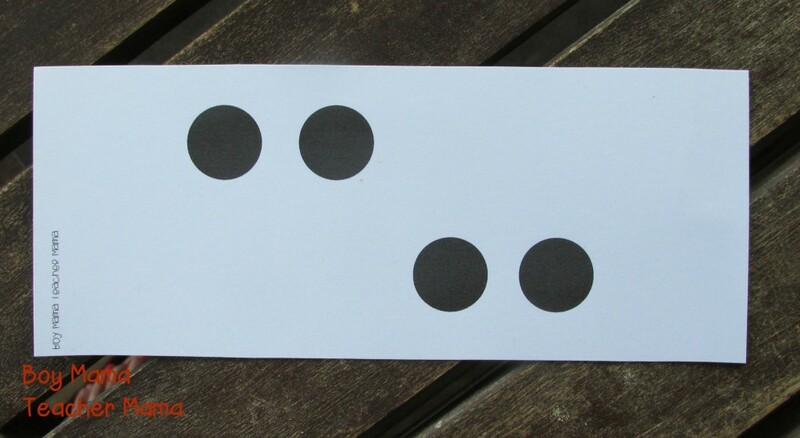 Dots on the cards should be stand alone and not be embedded in a picture. 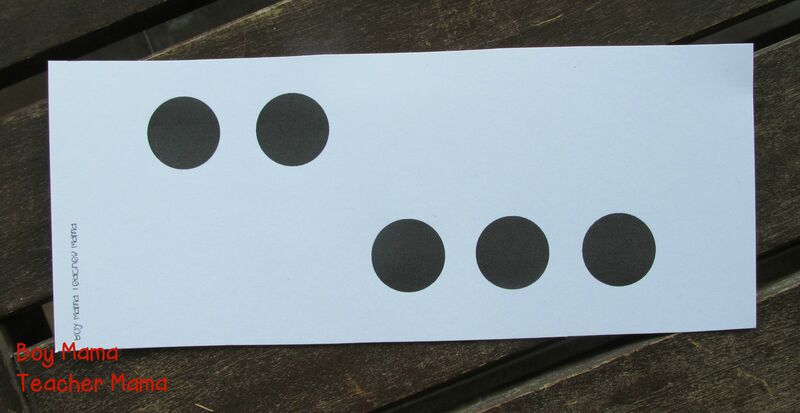 The arrangements should be simple and symmetrical and the dots should have a strong contrast with the background. The cards we created fit these criteria and are FREE!! 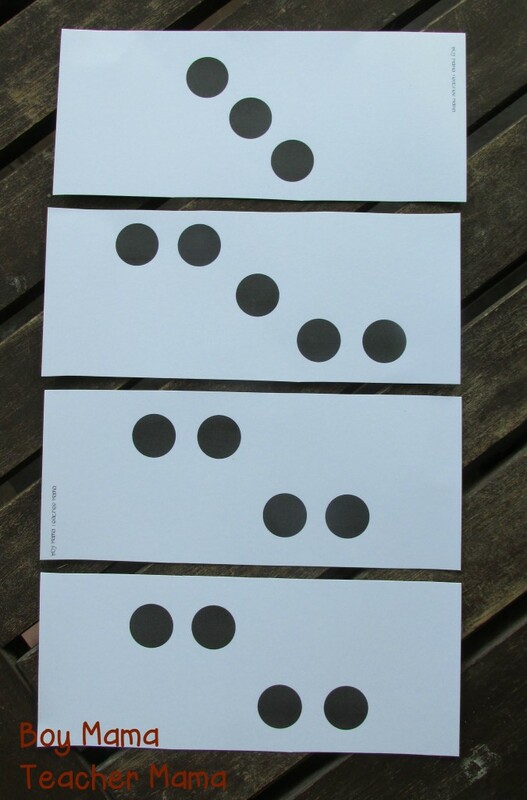 For students to practice forming mental images of number patterns. Show cards and have students say the number without counting. Display several cards one of which is a different number than the rest and have players identify which doesn’t fit. Use two decks of cards. Give each student one deck. Have players select a card and ask their partner to find a matching card. Display a card and have students say the number that is one more. Display several cards. Point to each arrangement and have students say them as fast as they can. Flash a card for 3 seconds then hide it and have students say what number it was.